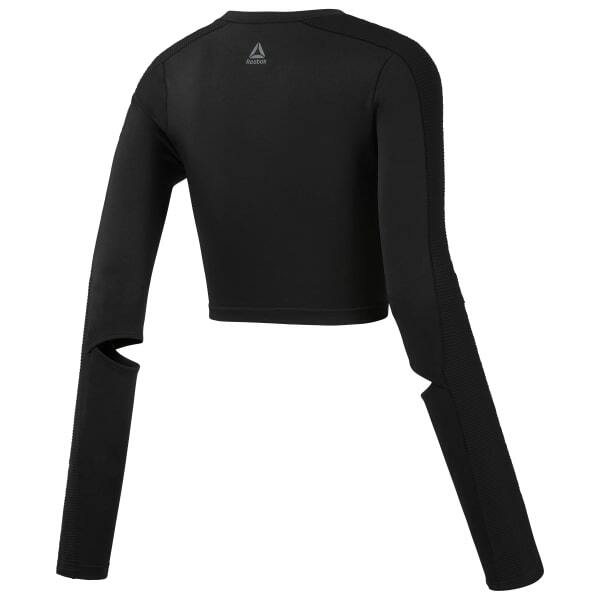 Our long sleeve women's shirt helps keep you cool with built-in elbow vents. A cropped fit boosts the bold look. Extra long sleeves make up the coverage. Plus, it comes with Speedwick technology.